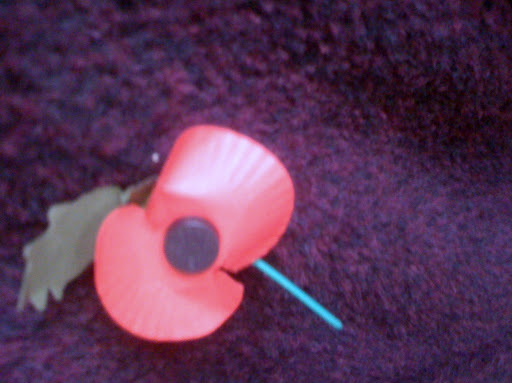 WEARING MY POPPY WITH PRIDE. Geezer, my six your old grandson, tells me that he has been learning about “war” at school this week. Probably because in the UK, the 11th day of the 11th month is Remembrance day and Sunday is Remembrance Sunday. These are the days we wear poppies in remembrance of people who have served and died in wars and there are all sorts of services to commemorate this. As I picked him up from school, he asked me why I wore a poppy. I told him that this was in memory of my father, his great grandfather and my uncles, who all were soldiers in world war two. He seemed very impressed with this. So I told him the only story that my father had ever told me about his 5 years of experiences in the war, other than his shock and horror at entering the bombed out city of Dresden. Frank was conscripted to the Army in September 1939 as war was declared with Germany. He had just turned 19. 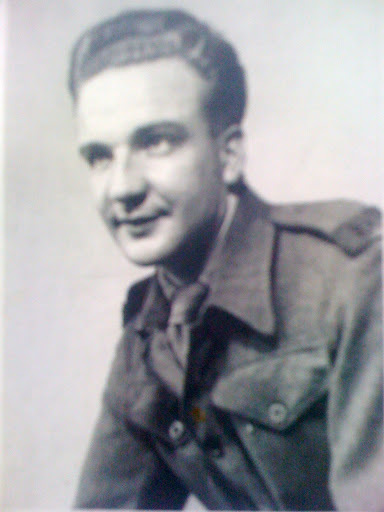 In June 1944, 23 year old Frank was sent ahead of the D day landings behind enemy lines in a lorry with a team of five. Their mission was to provide “artificail moonlight” i.e illumination with powerful searchlights, from the back of the lorry, in conjunction with another team at another venue, to help the troops, parachutists, and planes, see the countryside for the D day landings. This of course must have been very dangerous as they were sitting targets for the German bombers. They had to live on their wits and forage for food as best they could. Hiding all the time from the German troops. “One day me and the lads were searching an evacuated village for food. I entered a house from the front door, just at the same time as a German soldier entered the back door. We both automatically raised our guns and pointed them at each other. I looked at the soldier who seemed just a young lad like me. and he looked at me. We looked into each others eyes. He looked just as afraid as I did. We both stood there for what seemed like ages in this stand off. I didn’t want to shoot him and I am sure he didn’t want to shoot me. What would that achieve? I thought, he probably has a sweetheart and a mother at home. Frank went all through France and Germany with the occupation troops and never fired his gun. “dodged a few bullets though” he laughed as he told me. Frank sadly died in 1979 aged 58. I tell this story to illustrate how ordinary men and women were forced to war against their will and trained as soldiers. Killing machines. In the end ( to me ) neither of these men could kill each other as they had been trained to do. They both realised the futility of this. Decency and common sense prevailed. To me this gives me hope that despite all the horrors of war, human decency can still prevail. Previous post ← THE AFTERNOON TEA RESEARCH PROJECT CONTINUES. What a moving story, Denise. Thank goodness that the young German soldier and your dad had the sense to ignore their training and let compassion for another human being dictate their actions. I've always liked that the British wear poppies on Remembrance Day. For Americans, Veteran's Day (also on the 11th day of the 11th month) has lost some of its meaning and is frequently thought of as a good opportunity to go shopping because that's when many stores have sales.The photo of your dad reminds me of how young the men were who fought in WWII. With a soon-to-be 23 year old son, I can easily imagine how hard it must have been on your grandparents to have sons fighting in Germany. Mary Kay..I didn't really appreciate this story myself until my own son reached a similar age.. Today we will go to stand at the cenotaph to watch the parade. 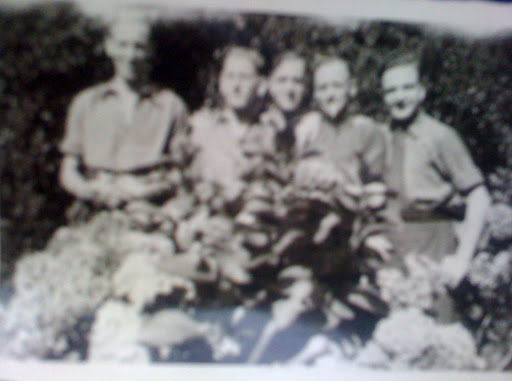 Sadly a lot of younger people no longer wear poppies as war is no longer close to them, just something they hear about in the news.I should also mention also that my mum and her sisters were conscripted to war in the munitions factory. this was often a dangerous job as often the armaments would explode and there were injuries and fatalities. Other women were conscripted to work on the land to replace the farm hands who had been sent into the armed forces. Thanks for that book recommendation Jo, I will look for it.Your FB vidoe is very moving and reminds us that there are troops from all over the world in Afghanistan. Also that as you say war affects ordinary people on all sides.There is a museum near us in Salford., The Imperial war museum North, that I visited last year, which does not glorify war rather shows how it affects ordinary people everwhere. Very very interesting experience.Yes I am glad the German soldier did not shoot, or I would not be here and maybe there is a family somewhere in Germany who also would not be there if my dad had fired his gun.